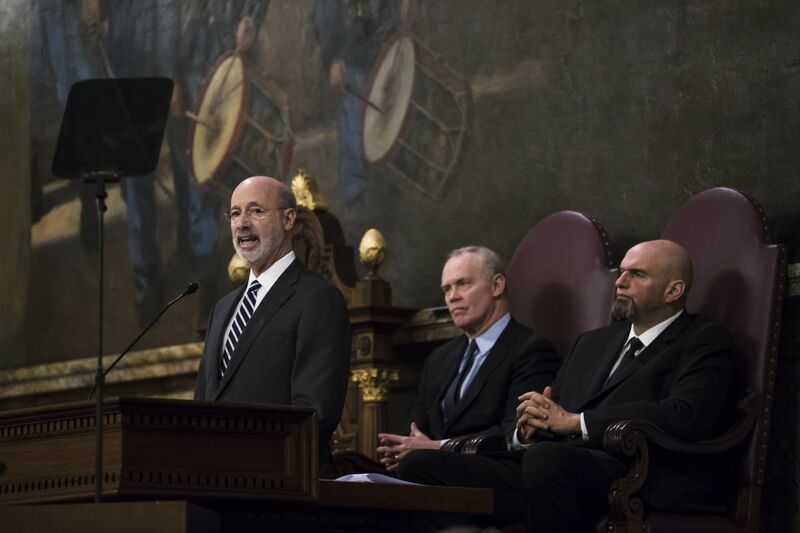 Governor Tom Wolf’s fifth budget address, delivered Tuesday, reminded us of Groundhog Day -- not the day on which we find out if Punxsutawney Phil saw his shadow, but the 1993 film in which Bill Murray wakes up to “I Got You Babe” again and again and again in an endless deja vu. Gov. Wolf seems to be waking up each morning to the belief that the General Assembly will support his revenue proposals -- despite the fact they have failed to do so for years. There are a few proposed sources of revenue in the plan. The first is a plan to raise the minimum wage to $12 an hour between July of this year and 2025. The proposal comes a day after New Jersey Gov. Phil Murphy signed into law an increase of the minimum wage to $15 an hour by 2024. Wolf has proposed an increase to the minimum wage every year since taking office in 2015. Those proposals went nowhere. According to Wolf, the increase in the minimum wage will generate as much as $36 million dollars for budget year 2019-2020 by increasing revenue from income tax, sales tax, and reducing reliance on social services that households with higher incomes will no longer qualify for. That strikes us more as an exercise in optimistic math than something that should be incorporated into a budget document. Still, to be fair, it’s far less optimistic than the projections Wolf made in 2017, when he projected that a higher minimum wage would generate $33.9 million more in personal income tax collections and $61.4 million in sales tax collections. Another revenue-generating proposal is to impose a fee on municipalities that rely on state police. This is the third year in a row that Wolf has proposed the fee. The rest of revenue of the increase in spending comes from what can only be called budget magic -- some money is freed by changes in rules and payment schedules, other funds are moved from one place to another. Not part of the budget, but another repeat proposal is the severance tax -- the main campaign promise of Wolf’s first and second campaign. Every year, Wolf proposes to pay for programs with money from taxing natural gas drilling, and every year the legislature rejects this proposal. This year, Wolf is proposing a severance tax to pay back a loan of $4.5 billion over four years for disaster recovery and infrastructure improvements. Once again, Wolf has laudable goals. Once again, it’s unclear what he hopes will be different this time around that will push through his proposals through a legislature that has shown no interest in cooperating.